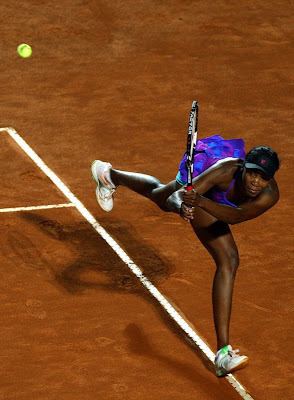 Obviously hoping to repeat her past victory in Rome (1999), American Venus Williams more than compensated for her slow tournament start today. At the Internazionali BNL D'Italia Venus pulled it all together and took a much more polished game to Poland's Agnieszka Radwanska, letting up only when the match was over. At the end of the assault Radwanska was defeated 6-1, 6-2. 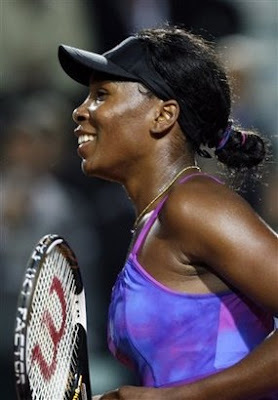 Post match Venus said, "With every match I'm improving and learning from my mistakes." Venus will now face World No. 1 Dinara Safina of Russia in the semifinals.